If you have a pest problem and you are located in or around Cricklewood, we are here to help. Our team are professional and experienced pest control Cricklewood technicians. Pest Exterminators along with our helpful customer service team are excited to offer our friendly and professional services for pest control Cricklewood to the local community. Our expertise and familiarity of the Cricklewood area means we can get to you quicker anytime of the day or night! We are extremely experienced in the field and Pest Exterminators will have your home or business pest free ASAP! 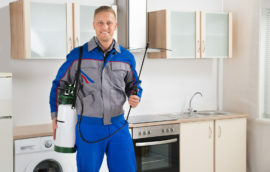 At Pest Exterminators, we understand that each pest control situation is unique. That is why we customise our 24-hour pest control services for each of our pest control Cricklewood clients on an individual basis. Whether it’s mice, bed bugs, cockroaches or wasps, Exterminators take care of the job in a quick and efficient manner. 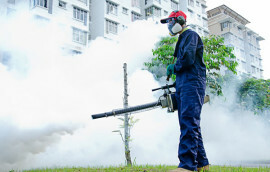 Exterminators Pest Control are well known for their extremely fast response times. Our vetted, 24-hour experienced pest control team can be contacted at any hour to schedule an appointment in one the available hourly slots open for a pest control visit. 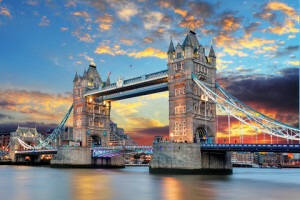 Once your appointment is scheduled, we work with you to completely understand your needs from pest control in Cricklewood. We will complete a thorough inspection of your premises and create a plan for our technicians to move forward in solving your pest problems. Your peace of mind means everything to us and is top priority. We have an incredibly knowledgeable customer service team ready to provide you with advice regarding any aspect of pest management in Cricklewood. Our staff are DBS checked for your safety and the safety of your property during any pest control treatments so you can rest assure you are in good hands with us. Exterminators Pest Control are well trained and knowledgeable in dealing with pest problems in a safe and timely manner. During our pest control treatments in Cricklewood, Exterminators are committed to always using the safest possible products. The work we carry out is in accordance with the Health and Safety Act 1974, the COSHH Regulations 1988, the Food and Environmental Act 1985 and the Control of Pesticides 1986. We go the extra mile to ensure that you are very safe during and following any of our treatments. 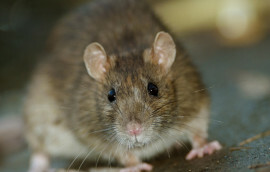 From rats to foxes, Exterminators Pest Control has a very diverse range of expertise that covers any type of pest in the Cricklewood area. Give us a call today to make an inquiry into expert pest control Cricklewood.